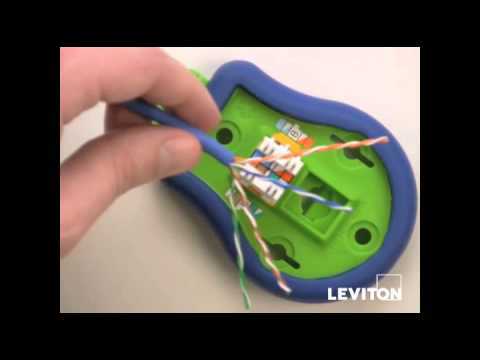 Leviton GigaMax® QuickPort® 110 Punchdown connector features 8-position 8-contact UTP Category 3 cable for reliable connection. 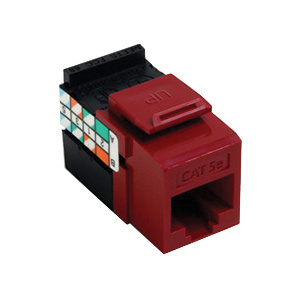 The connector in dark red color, has high-impact fire-retardant plastic construction and robust 1-Piece lead-frame design. It has a dimension of 1.178-Inch x 0.635-Inch x 0.89-Inch. 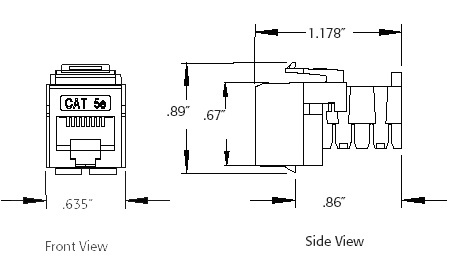 Snap-in mount connector has phosphor bronze contact base for better conductivity. It is suitable for use in residential, MDU and high-megabit applications. The Individual port configurability enables specification flexibility. Connector is cULus listed, CSA/FCC certified and NEC/ACA/TIA/EIA compliant.